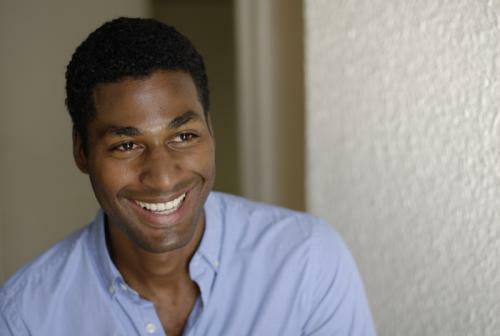 Kenyon Adams has been the recipient of a National Young Arts Foundation Award, and was named a White House Presidential Scholar in the Arts. Adams made his feature film debut as Jason in director Lee Isaac Chung’s 2010 narrative feature Lucky Life, which premiered at Tribeca Film Festival and was selected for the Moscow International Film Festival, Torino Film Festival, American Film Festival Poland, and others. In 2011, he formed the band Kenyon Adams & American Restless, which sought to explore the liturgical quality of the blues aesthetic in the American musical context. Other appearances include Changing Light on Water: Some Possible Beginnings and Endings directed by Bill T. Jones. During this residency at the ISM, Adams will develop a creative platform with Yale students around questions of faith and social conscience. Guided by an interdisciplinary committee of Yale faculty, he will gather a cohort of artists who will focus on the question of Empathy: Its plausibility in light of the limits of knowing and of language, its contingency in relation to structures of power, and its apparent necessity for the maintenance of justice and civility in contemporary society. Their work will be shared in public performance. Also returning in a new role, Nicole Benevenia (M.A.R. ’15) will coordinate the special events for the 2015-16 academic year. A 2008 graduate of Boston College (majoring in philosophy and English), Nicole then came to the ISM/YDS to study religion and literature in 2013. During her years at Boston College, Nicole was co-head coordinator, trip leader, and volunteer for Appalachia Volunteers, through which she participated in six service-learning trips to the Appalachian region. Upon graduating from BC, she held marketing and editorial positions at Commonweal Magazine, Wiley-Blackwell Publishing, Pearson Learning Solutions and diacriTech, Inc. She then came to the ISM/YDS to study religion and literature in 2013. While at Yale, she interned at Yale Press and co-edited LETTERS, the student-run journal for literature, the arts, and spirituality. Andrea Hart’s role at Yale has been expanded. While remaining at the ISM as lead administrator, she has been tapped by the central [business operations unit of the Office of the Vice President] to take charge of the C&T Summer Training program and to be involved in planning and implementation for business office training programs across the University. This promotion follows on the heels of the success of the C&T Summer Training program, which she was instrumental in designing and implementing, and for which the team won a President’s Award for Staff Excellence in 2014. Laurie Ongley has been appointed as concert production assistant at the ISM. She is working with Laura Adam and others in supporting the music programs and related events, with a special focus on Yale Camerata. She fills the vacancy left by Melissa Rooklidge, who left the ISM in August to teach music at Whiting Lane Elementary School in West Hartford. Ongley is no stranger to Yale and the ISM. A Yale College grad, she later received the Ph.D. In historical musicology from Yale, writing on liturgical music in late eighteenth-century Dresden. After a number of academic positions, she moved back to Connecticut in the mid-90s and held a number of positions managing, in successive years, the Yale symphony Orchestra and Yale Camerata. She served as staff editor for Sound View Press and Oxford University Press, and in 2000, Ongley became managing editor for Yale College Publications. Still working at Yale, in 2011, she was named communications manager for Student Financial and Administrative Services. There she edited the Yale course book and managed the course review process and online catalog.